Developed by the engineers at FXpansion, the software instrument makers behind BFD, comes Cypher2, a brand new analogue-modelled, sound design-focused synthesizer. The first instrument to be released by the team since FXpansion was bought by ROLI in 2016, the instrument is notably designed to tightly integrate with ROLI's own 5D MIDI MPE controllers: the Seaboard and Blocks. According to ROLI, Cypher2 is built for advanced sound design projects and expressive performances. The interface invites Cypher2 creators to manipulate sound in almost infinite directions with 1300 included presets, a TransMod modulation system, dynamic oscillators and filters, a sequencer and 30 effect modules. Cypher2 is fully compatible with both standard MIDI controllers and MPE-enabled devices, which include ROLI’s own Seaboard and BLOCKS instruments. Cypher2 is the latest addition to ROLI’s expanding software suite. It joins premium desktop sound engines Strobe2 and Equator, the first software synth built for MPE. NOISE, ROLI’s free iOS app, makes MPE-enabled music creation accessible to a much larger audience. Together these applications form the largest collection of MPE-enabled software available. Officially adopted as part of the universal MIDI protocol in January 2018, the MIDI Polyphonic Expression (MPE) framework allows electronic musicians to express themselves in ways previously only possible with acoustic instruments. Cypher2 is now available for $199 (£159, €179) on fxpansion.com. 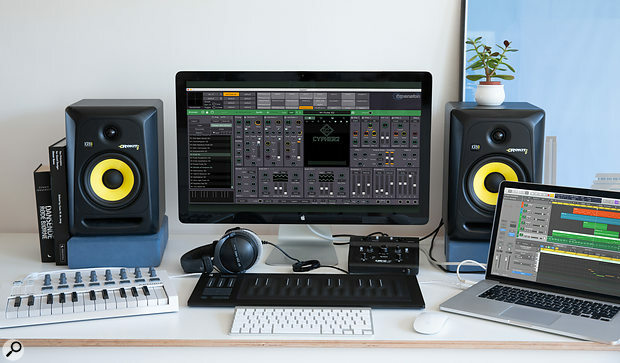 Existing owners of DCAM Synth Squad, Strobe2, a ROLI Seaboard or BLOCKS can purchase Cypher2 at a discounted price of $79 on fxpansion.com until 7th September 2018, or for $99 thereafter.